Nothing remains of Jane Boleyn. We do not know what she looked like, where she is buried, and we have rarely seen a word that she ever spoke recorded by anyone. 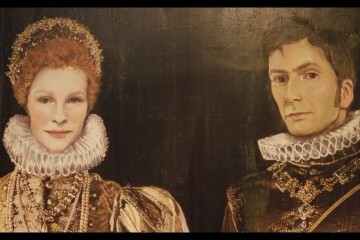 Jane was an unimportant woman, yet she once walked the earth, during the reign of King Henry VIII. And she lived through five of his marriages before he took her life from her. For an unimportant woman that history should have forgotten, Jane has become a notorious scapegoat for the fall of two of Henry’s queens. Where a man arranged the murders of two of his wives, two “great loves” that ended in appalling violence, a woman has taken the blame for centuries. 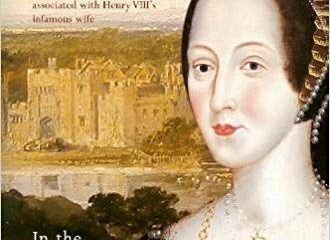 There could be nothing more unjust, yet historians and novelists alike continue to perpetuate the myth of the “woman scorned”, the Lady Rochford. Over the last decade there has been a small movement to rehabilitate Jane Boleyn’s legacy. Best-selling author Adrienne Dillard is currently working on a novel that will shed new light on Jane’s much-maligned marriage and her relationships with Henry’s two ill-fated queens. Today Adrienne is sharing the title and wonderful cover art for her upcoming novel, and gives us a deeply personal insight into her research on Jane Boleyn. 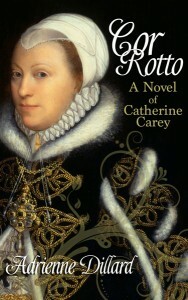 Firstly, congratulations on the huge success of your debut novel, Cor Rotto: A Novel of Catherine Carey. 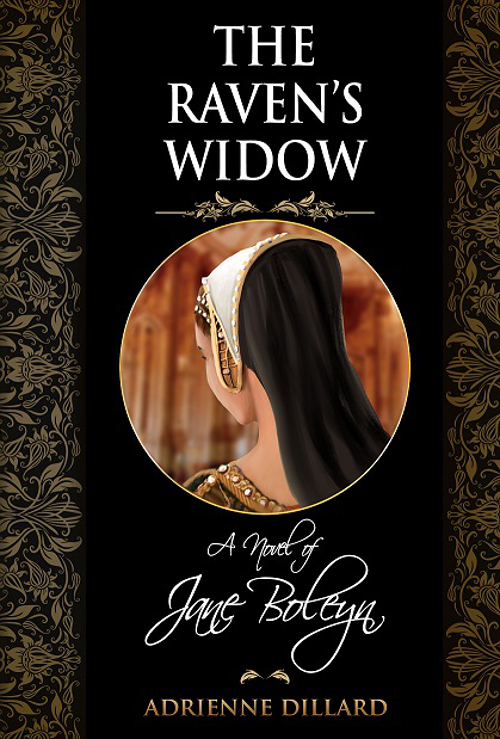 Your upcoming novel focuses on Jane Boleyn, Lady Rochford, who made a brief appearance in Cor Rotto. What led you to Jane’s story after telling Catherine Carey’s? Thank you so much, Olga! I am still so surprised at how much people loved hearing Catherine’s story. I have to pinch myself every day! I honestly don’t know how I came to tell Jane’s story. I actually tried to avoid it at first. There was just some part of me that kept buying into the idea that Jane wasn’t a very nice person. I knew, logically, that her portrayals have been very unfair, but I had a difficult time getting my heart there. I hemmed and hawed over who I was going to write about next and it wasn’t until I was recovering from surgery in January 2015 that I really settled on telling her story. 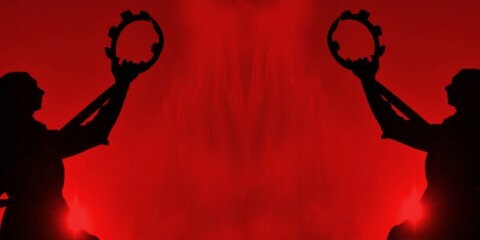 The surgery I had was a hysterectomy and I found that I was just overwhelmed with all these emotions about it. One of the things I kept thinking about was that I couldn’t have any more children (we have only one). Well, I was surfing Facebook during one of my days home in bed and it happened to be the anniversary of Jane’s execution. My feed was flooded with all of these articles on her and, of course, I read almost all of them. I thought about how Catherine had all of these children that filled her life, but Jane had none. 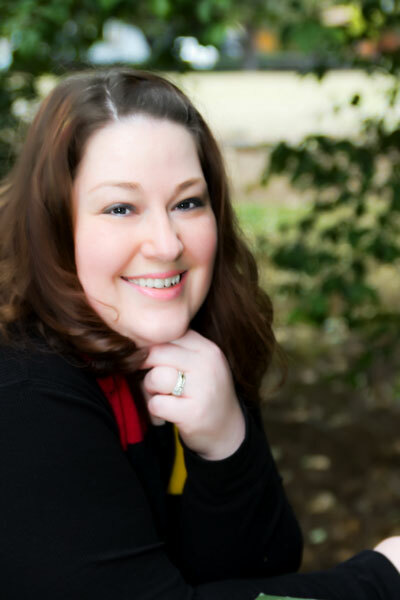 As I struggled with my own identity as a mother, I wondered what it must have been like for her to be childless in a time where it seems like the most important thing a woman could do was procreate. I felt like seeing those articles was a sign that exploring Jane’s experience could be very helpful as I navigated this new territory. 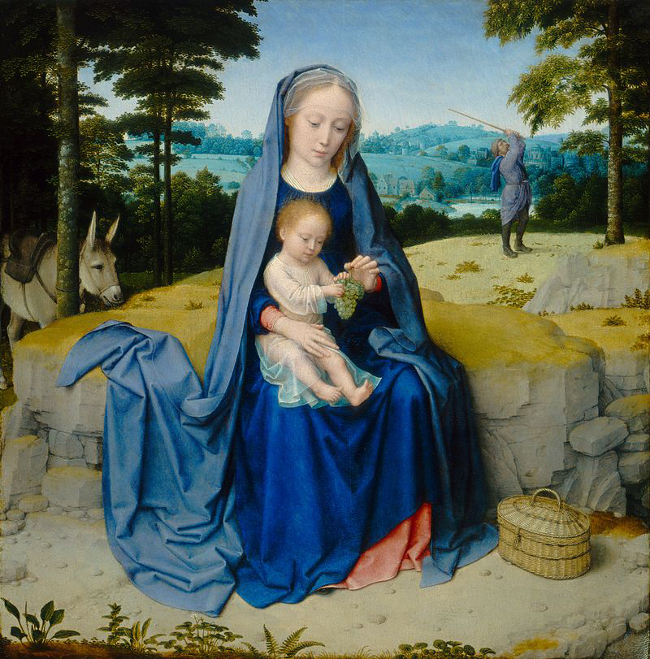 What has it been like writing about a character like Jane, who has her own mythology despite us knowing little about her, in comparison to a more prominent figure like Catherine Carey? It has been so difficult! Researching Jane was easy…I already had the story of those around her, there was really only one book I needed to read that focused on her. 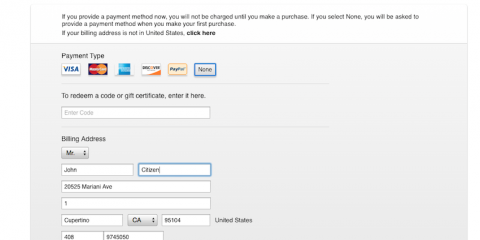 Overcoming my own biases was the hard part. Her mythology seems to be ingrained into every historian. No matter what I read, they had something or another in there that made me think she just had to be guilty of something. Even though I felt sympathy for her when I was writing Cor Rotto, I still had this deep seated notion that there was something off-putting about her. I came to a point where I had to throw all assumptions out the window and return to the primary sources. With Catherine, I had the benefit of seeing her through so many other eyes. We KNOW she was beloved because of the letters that exist from her husband and because of the way Elizabeth behaved after her death. Jane has none of that. The only real insight I could get into her character was from things that she did for others and the testimony she gave during her interrogation when Katherine Howard fell. It’s not a lot to go on. The other hard part was considering Jane’s mental state. It’s easier to write a character who behaves on an even keel, but it’s emotionally exhausting writing about someone who behaves irrationally. We have nothing other than Chapuys’ words that Jane went “mad” on her third day of imprisonment so it was up to me to figure out what kind of madness she suffered from and then portray it in a way that was realistic and honourable. 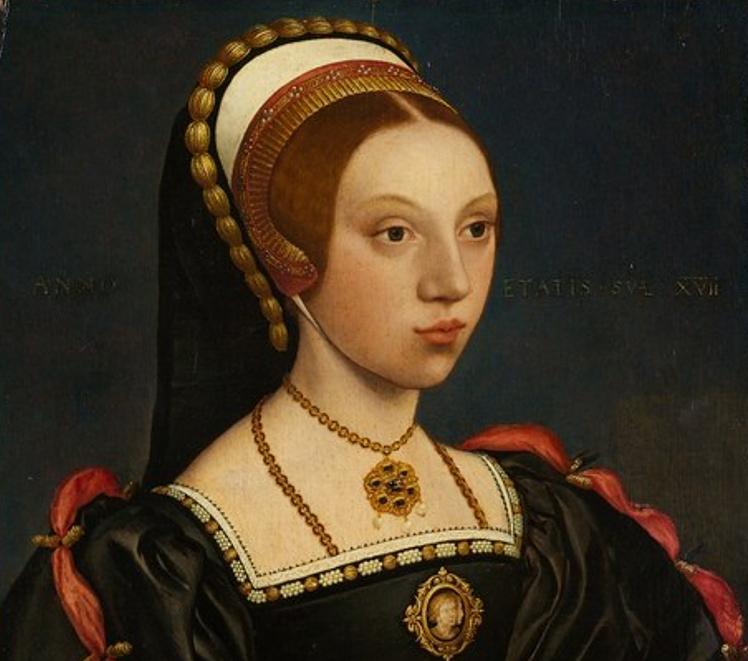 And in regards to prominent historical figures, has Jane’s story been overshadowed by the fate of her husband and sister-in-law, and her young queen Katherine Howard? Oh absolutely! I think that people want a scapegoat and Jane fits the bill perfectly. All three of them lose their head and Jane’s the common denominator. 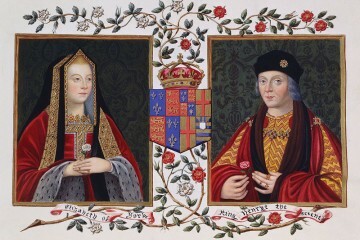 There is a desire to paint Anne, George and Katherine as innocent victims, but people are reluctant to point the finger of blame at Henry VIII. It’s really a testament to the power of his charm and propaganda machine, actually. Even 500 years later, we see him as this delightful Renaissance Prince surrounded by bad councillors. He couldn’t really be responsible for their deaths, could he? The short answer is that, yes, he was. I feel as though Jane suffers from the same problem that Jane Seymour does. The other three are seen as these bright glimmering stars brought down in the prime of their life…and that’s true, but as a consequence, both of the Janes are seen as dull and plain. I play that out in a way in the story. It’s Jane who thinks she is nothing special, but everyone else sees her for the gem that she is. Perhaps that’s wishful thinking on my part, but if we think Anne and George were stars 500 years later, imagine just how golden they were in life. Jane may have felt just as overshadowed by them then as she is now. What sort of effect has historical fiction, as well as historiography, has on Jane’s image? I really think it’s only encouraged the myth of the “naughty Jane Rochford” to persist. She is consistently relegated to this caricature of a “woman who hates women.” She’s the mean girl you avoided in high school. I have seen very few books that portray her sympathetically and, when they do, they often ascribe other undesirable characteristics to her; like an obsession with wealth or power. She fulfils all the tropes: scheming, jealous, naïve, hysterical, voyeuristic, etc. Even well-respected historians can’t resist taking her down a peg. 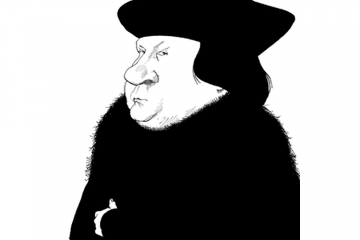 A historian whom I adore and praise to the Heavens, takes her to task in his bio on Anne. That’s something that many people can’t see past, but you have to remember that historians have their own biases too. A few years ago I had the honour of reading an advance copy of Perseverance by Charlie Fenton. Charlie wrote a gorgeous version of Jane. She was complex and human; I really enjoyed it. After I reviewed it, I checked back in to see what the reception was and I was shocked by how much flack she got for writing a “normal” Jane. Some readers were genuinely outraged by it. Charlie was a total pro about it, of course, but I got a bit furious on her behalf. People just cannot let that Regina George (from Mean Girls) imagine of Jane go. I anticipate getting many of the same reactions. Despite excellent scholarly research clearing Jane of the supposed betrayal of her husband and his family, among other false charges, Jane’s rehabilitation has been met with a great deal of resistance. Why do you think people have a hard time letting go of Jane’s mythology? I think that people love to hate her. It’s too easy to pin our frustration with the deaths of seven innocent people on her. Jane’s own actions at the end of her life complicates matters even further. She behaves in a way that leads me to believe that she suffered from a form of Post Traumatic Stress Disorder. We tend to think of PTSD as a contemporary illness, but it’s really not. It can be hard to empathize with a person who thinks differently than we do. It’s the same reason why mental illness is still such a taboo. Jane’s motivations are also really hard to pin down. No one really knows why she got involved with Katherine’s affair so our tendency is to believe that she did it out of spiteful reasons. Humans can get very jaded and we often default to seeing others with a critical eye. I haven’t given up hope though. I think that George Boleyn is still in the process of being rehabilitated as it’s only recently that people have started to see that maybe he wasn’t as bad as they thought. Same with Anne Boleyn and Richard III. Anne has probably come the furthest, but her rehabilitation was initially met with a lot of disdain. Richard III is still very polarizing. I think that eventually people will come around to seeing Jane as a real human and not a typical villain, but it’s going to take some time. It’s really hard for people to change their perceptions and it doesn’t happen overnight. Researching Jane Boleyn is very complex, there are a lot of glimpses of her throughout her career at court, but very little has been been recorded, her motivations are elusive. How did you want to approach her life? With Jane, I had to start at the end before I could go back to the beginning. I had to look at what she became to see how she got there. I’m going to get pretty personal here, but stick with me. As I read more about the incident with Katherine Howard, I started to really see a lot of my own mother in Jane. For background, my mother was widowed almost a decade ago. My step-father committed suicide while she was in the house with him. Afterwards, she was diagnosed with PTSD from the event. She’s come very far since then, but ultimately, her brain is never going to work in the same way. It’s as if it’s been completely re-wired. As I read about Jane, I began to wonder if, perhaps, George’s death had the same effect on her. Now, I am no medical professional so don’t think that I am diagnosing Jane with anything. I could just be spouting nonsense…What I am saying is that when I read her testimony and looked at her behaviour leading up to it, I immediately connected it to behaviour I saw in my mother. I knew there had to be an event that triggered it and the most likely suspect was her husband’s execution. A picture of two very different Janes began to emerge and that’s why I’ve told the story as I have, flashing between her fall and her rise. Readers will see the changes in her…the “re-wiring” of her brain so to speak. What are some of the neglected aspects of Jane’s humanity that you wanted to focus on? I’m one of those writers who never really plans out what they are writing. I have the facts, I know the main events, but I never know how I am going to get there. I basically just let Jane drive the story. I hadn’t intended on focusing so much on her relationship with Anne, but that began to overshadow everything very early on. No one really knows how close Anne was with any of her ladies…It’s assumed that she was good friends with Anne Zouche because of the incident with the book…It’s assumed that she was good friends with Margaret Wyatt because they were neighbours and close in age and because of Anne’s friendship with her brother…but we don’t really know how she felt about them. It’s the same with Jane. We don’t know for sure that they got along, but I think that the incident of 1534 speaks volumes about their friendship. Jane really put her reputation on the line that autumn when she involved herself in a dispute with a maid who had caught Henry’s attention. She paid the consequences for it too. I think she really had to have been fond of Anne to do that. I don’t think she would have if Anne was unkind to her. I also don’t think she would have done it if she didn’t like Anne. The fact that she served Anne in the first place is a good indication that they were friendly. Anne chose her ladies for the most part. Sure there were some she didn’t like, but she had to consider their supporters before she could dismiss them. Jane, on the other hand, would have been very easy to dismiss. Especially since George and Anne were so close. If Anne had truly hated Jane, George would have told her that she needed to stay home. Another thing I wanted to focus on was her infertility. As women, we tend to put a lot of stock into the idea that life is unfulfilled without children. We define ourselves by whether or not we procreate. Not necessarily because we truly feel that way, but because society thinks we ought to. We have no value unless we are mothers. In Tudor times, that sentiment would have been even more prevalent. Heck, Anne seems to have lost her head because of it. I felt like all of that pressure probably got to Jane. She may have felt like she was damaged in some way. I wanted to explore how that anxiety and self-doubt can really affect how we behave. I would like to say that society has changed since then, but that pressure is still very alive and well. I have a very close friend who (along with her husband) has decided not to have children and I am constantly amazed by the barrage of criticism that comes her way because of it. It’s really quite ridiculous sometimes. I truly applaud her for sticking to her guns and doing what is right for her life in spite of those reactions. Jane’s life is not a typical Tudor tale, what do you think Jane’s story can teach us about life under Henry VIII? I think that Jane’s story teaches us that life under Henry VIII wasn’t as glamorous as we would like it to be. Sure, the nobles in his court were powerful and well-dressed and all that, but their lives may have been even harder than the average “peasant’s”. Those material signs of wealth were quite costly and many nobles were driven to extreme amounts of debt in order to keep up appearances. They had to put their own personal desires aside to serve a monarch that, at best, was extremely narcissistic and, at worst, extremely dangerous. I would hazard to guess that many of them lived in a constant state of fear. Think of how that would affect them psychologically. 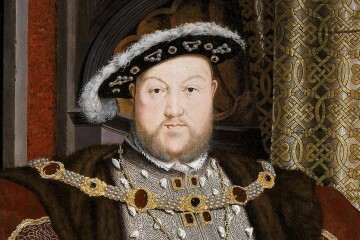 Certainly, Henry wasn’t all bad all the time, but you never really wanted to make a wrong move with him. He could be very gracious and benevolent when he wanted to be, but he could also be very unkind and vindictive. 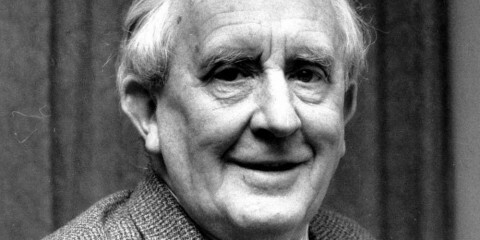 Ultimately, Henry was a complex human like all of us, but he wielded a great deal of power over many people. Imagine a time that you had a very demanding and difficult boss…Now imagine that you lived with that boss…That’s kind of what life was like. Only Jane’s boss had the power to deprive her of her noggin! Aren’t you glad there are laws against that now?! 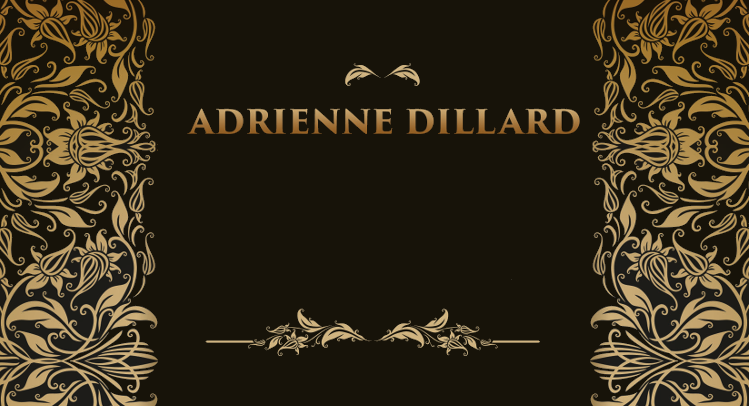 And now for the cover and title reveal of Adrienne’s upcoming novel…. I really enjoyed your interview and am looking forward to reading this book. In a way, putting Weir aside, it’s easier to rehabilitee George because it’s only in the last 25-30 years that he has been demonised. It stems from Warnicke’s theory as to his sexual orientation and I think to a large extent his character assassination is homophobic in origin. With Jane she has been demonised throughout history. I had massive pre-conceived perceptions of her which Julia Fox helped me overcome. People need to look at the fresh evidence with an open mind. Books like this will be a huge help with that.